When we first blended our Evergreen Mint Tea, I was blown away by its extraordinarily minty — yet well-balanced — potency. But I confess, I don’t normally drink mint tea straight up, so I decided to do a little experimentation. The results? My friends, this tea makes a Really. Good. Grasshopper. (Teahopper? Mintyhopper?) The creme de cacao and mint combo is nicely complemented by cream for the perfect after-dinner libation any time of year. Seriously, it is classic, downright refreshing, and tastes better than a peppermint patty. Place all ingredients in a cocktail shaker and shake well to blend. 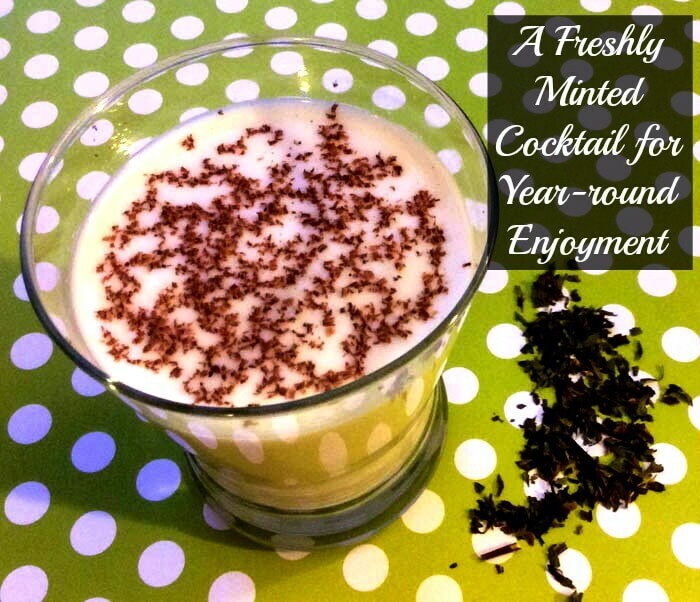 Strain into a glass and garnish with chocolate shavings or a mint sprig (or both!). Enjoy!